Hi! Today I am excited to be playing along with Kylie’s International Blog Highlights this month! If you like my project, I’d appreciate your vote! You can vote by heading over to Kylie’s highlight page here and clicking on the heart in the upper right of my picture. Our focus is our favorite product from the Occasions or Sale-A-Bration catalog! This was hard – there are so many awesome products in these two catalogs! But, after getting a chance to play with the new Brusho’s – I found it! Is this not just gorgeous?!? I was so happy with how these turned out – and as you can see, even tho I used the same Brusho colors and the same technique, my butterflies are not exact! Love it!!! 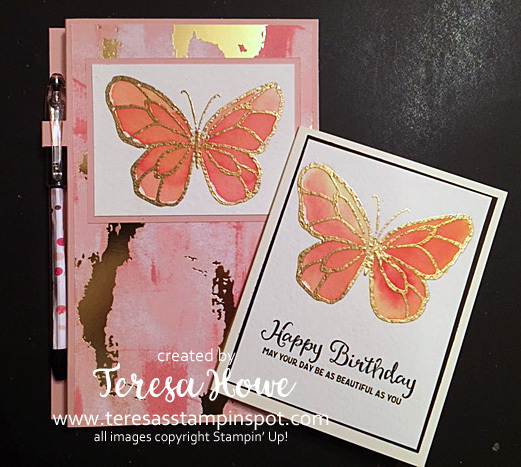 Emboss the Butterfly from the Beautiful Day stamp set with Gold Embossing powder on Watercolor paper. Sprinkle Gamboge Brusho Crystals and Brilliant Red Brusho Crystals over the water. Use the aqua painter to mix the Brusho and water. If you have too much water, you can use a paper towel to remove some of it. I then picked up the image and slowly rotated it around while the water and color absorbed into the paper – this separated the colors a little more on the birthday card. Let dry completely and adhere to project. Cut a 12″ x 12″ piece of cardstock 8″ x 11 1/2″. Score at 5″, 5 1/2″ and 6″ along the 11 1/2″ edge. Cut between the score lines at 2″ and 2 1/2″. 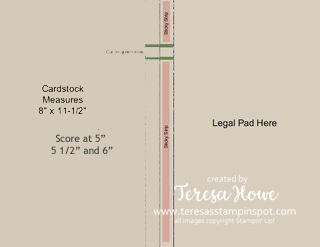 Apply Tear & Tape between the 5 1/2″ and 6″ score lines above and below the cut lines. Decorate as desired. I used Tear & Tape to adhere the Jr Legal Pad to the inside. I’d love to know what you think and I’d appreciate your vote! Don’t forget to head over to Kylie’s blog to see all the other wonderful creations! 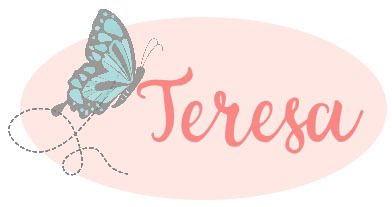 You will find all these amazing products in my on-line store here! Don’t forget all orders over $50 (US, prior to S/H and tax) placed through my on-line store qualify you for FREE Sale-A-Bration rewards! Yes – that is the technique that I used. There are other ways to use the Brushos – I’m just getting started! Happy to enable you! Love the card and this new technique.